Rugs are cleaned using a very different process than carpets. 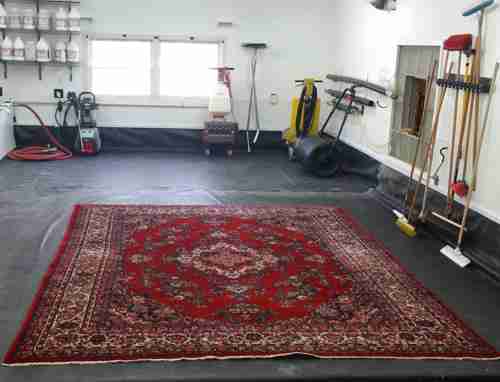 We have the traning and equipment to care for your treasured rugs properly. 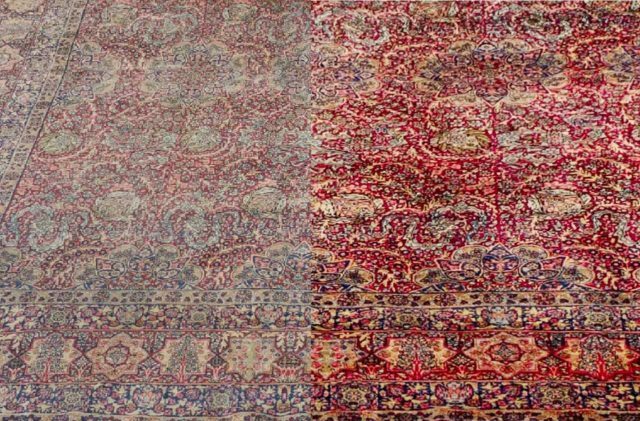 Before and After Image of a Cleaned Rug. 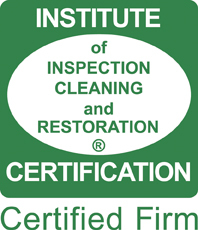 The Cleaning Studio® — Clean Bee’s rug cleaning studio, with the recent expansion we now have nearly 1500 sq. ft dedicated to the cleaning of area rugs. Every rug is unique, but there is always a way to clean your rug.We can perform the following cleaning methods: dry-compound extraction, dry cleaning, low moisture extraction, shampoo, bonnet, encapsulation, steam cleaning, and full submersion. We let the rug decide the cleaning process based on colorfastness, fiber type (nylon, wool, silk, etc. ), rug construction, and soil load. No matter what method is used to clean the fibers it is key to remove as much dry soil as physically possible. With the use of our rug duster we can literally remove pounds of trapped soil that would have never been removed with vacuuming alone. This picture is of the soil removed from a 5x8 area rug, this is not untypical, and I am always amazed at the amount of sand and dirt that comes out even after repeated vacuuming. 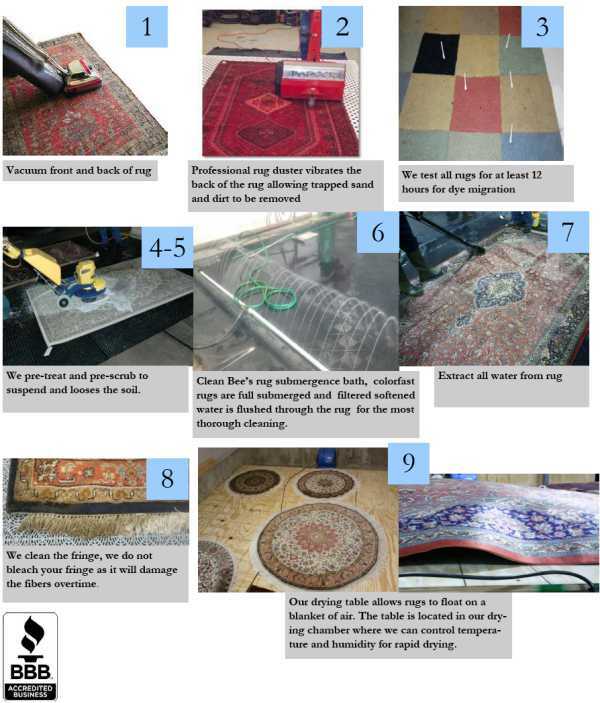 Below, we have tried to illustrate the process a rug goes through at The Cleaning Studio Spot for a typical submersion cleaning. We also have a decontamination bath separate from the larger submerging bath where we can treat rugs contaminated with urine, and those rugs that have been contaminated during a water or even sewage loss. We offer a full suite of services to care for your rug from the time that it is picked up from your home until it is returned, cleaned, repaired, and protected again stains as needed. 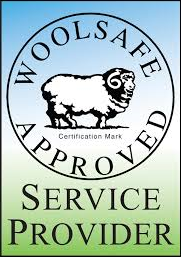 Please give us a call today to allow us to care for your rugs.